Chicago, IL—Human Synergistics International (HSI), directed by Dr. Robert A. Cooke, will partner with Dr. Edgar Schein and his newly formed Organizational Culture and Leadership Institute. The partnership will conduct research, advance knowledge, and offer state-of-the-art training in the design and management of change processes focused on the areas of occupational and organizational culture, leadership, talent development and consulting. The collaboration will include problem-solving exchanges with executives personally facilitated by Schein and culture workshops for change agents initially piloted in the US and scaled globally through Human Synergistics. Schein will also speak at HSI’s 2nd Annual Ultimate Culture Conference in the San Francisco Bay Area later this year. His presentation will include some of the insights in his forthcoming book, Humble Consulting, along with new insights developed through this collaboration. These joint initiatives follow discussions between Cooke and Schein on the common ground of qualitative and quantitative culture development approaches, as well as Schein’s subsequent keynote presentation at HSI's inaugural Ultimate Culture Conference in Chicago this past September. Cooke and Schein’s discussions, along with Culture Conference presentations by other leaders in the field, are available at ConstructiveCulture.com. Human Synergistics’ mission is Changing the World—One Organization at a Time®. 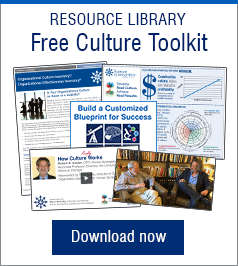 As creators of the world’s most thoroughly researched and widely used culture survey, the Organizational Culture Inventory®, HSI is the global resource for measuring and shaping organizational cultures. Directed by Dr. Robert A. Cooke, and building on his work with Dr. J. Clayton Lafferty and colleagues, HSI focuses on developing the highest quality assessments and simulations for enhancing team, leader, and organizational performance. Since 1971, HSI has supported the development of thousands of organizations and millions of individuals. With 19 offices on four continents, HSI is truly having a positive, global impact. Schein’s Organizational Culture and Leadership Institute is dedicated to advancing organizational development through a deeper understanding of organizational and occupational cultures—how they arise, develop, and evolve. The Institute is led by Dr. Edgar Schein and Peter Schein with supporters and partners worldwide. The Institute will build on and extend the research and thinking published in Schein’s books including Process Consultation, Organizational Culture and Leadership, Helping and Humble Inquiry as well as his development resources such as The Corporate Culture Survival Guide, Career Anchors and his forthcoming Humble Consulting. Schein is the 2009 recipient of the Distinguished Scholar-Practitioner Award from the Academy of Management and the 2012 recipient of the Lifetime Achievement Award from the International Leadership Association.